Can anyone shed some more light on next years Nationals? We are trying to plan for it but information seems to be hard to come by! Or maybe it’s just me? Next years Nationals are being hosted by PAPO as it is the South Island's turn. Rumour has it the Nationals will be in the Waitaki Area possibly based out of Oamaru. There's limestone country in the low hills behind Oamaru with the only map I know of being Humpty Bumpty. Easter is the middle weekend of the school holidays in 2019. Rumours don’t really help for concrete plans but thanks for trying to help. Hopefully somebody in the know will be able to expand on this info. Perhaps emailing the ONZ Events Co-ordinator would be a good place to start if concrete plans are required. events(at)orienteering.org.nz. The rumours are correct. PAPO is in the midst of organising NZSS champs, once that is out of the way we'll have more resources for putting out information about NZO champs next year. Also we haven't actually confirmed all maps yet as some areas we were initially thinking about have been felled etc, and we are still working on the permissions side. Plans are sprint in Oamaru, and other areas a max of around 40 minutes from Oamaru. Looks good Neil. Thanks Michael and Jenni. There's a little area (might be too small) of rocks and bushes near Whitestone that looks interesting on google. Could have potential if know ones checked it out yet. Has PAPO thought about what format the relays will have next year?? Revert back to old format or keep this years format? In honour of Oamaru's status as New Zealand's steam punk capitol, I've already selected my preferred compass for the sprint race. Now just have 8 or 9 months to figure out how to attach it to my thumb. Just for you Rob Garden. My entry is in first again! That's a surprise Jenni:-)) Based on the ONZ calendar I've been telling members they had a few more WEEKS not days to enter. 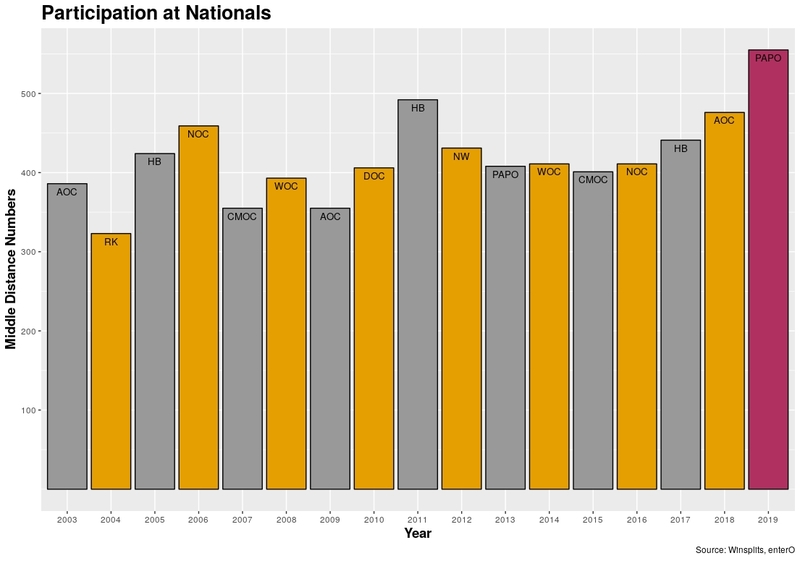 Biggest nationals ever? Any insight into why the entry numbers are so good?